From bucket scrubber to business owner, Emily Neubauer of Belle Fiori knows the ins and outs of the floral game. In high school, Neubauer worked in a flower shop sweeping and cleaning while observing the day-to-day activities of what went on for the florists she worked for. As an art student through college, she honed her skills on how to bring creativity and design to different platforms. As she became more experienced, Emily managed a flower shop and when the opportunity came 12 years ago to buy the business from the original founder, it was hard to pass up such a chance. Including Neubauer, there are six full time designers working daily: Erika, Alex, Jen, Amy and Cecilia. 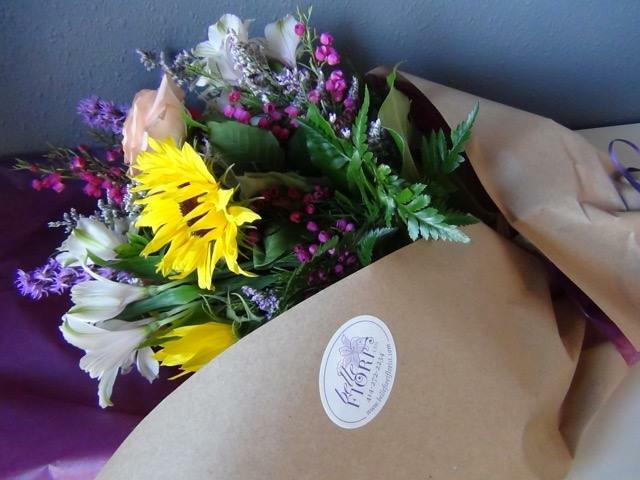 Erika is the lead designer with a degree from MIAD and focuses on locally grown, field-to-vase flowers. Alex is the event manager and, as Emily says, “She makes sure we remember every detail.” Jen has spent almost four years as a designer, learning on site and making Belle Fiori as friendly as possible with her customer service skills. Amy continues the list and is a UW-Green Bay graduate with a degree in art and a passion for all plants and flowers indoors and outdoors. Last but not least, there’s Cecilia. Cecilia, a Texas native, has a horticulture and floriculture degree, she moved up from Belle Fiori’s first intern to a full time team member in 2015. When asked what the future plans for Belle Fiori are, Neubauer stated, “We’re going to keep growing and do what we do well,” operating by the motto, “Do what you do well and you’ll be successful.” What made Neubauer interested in the Wisconsin LGBT Chamber of Commerce was the loyal and supportive community. “I don’t know why we wouldn’t be a part of it,” said Neubauer.